Karolina Hagberg has been appointed new Chief Purchasing Officer (CPO) at Ahlsell AB. She will become part of the Group Management and starts her new position by 15 June 2018, at the latest. 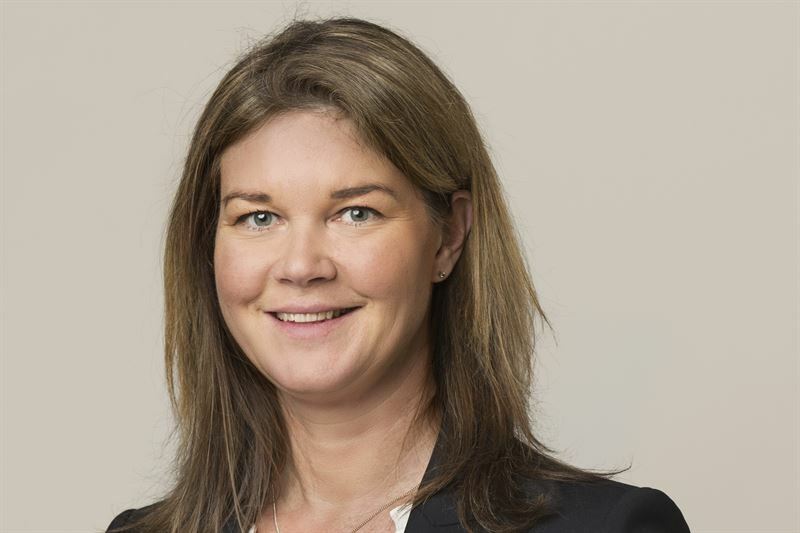 Karolina currently works as Business Area Director for Purchasing and Category at COOP Sverige AB. She has solid experience from various positions within purchasing and category management, marketing and sales, and among others as Sales Director at Barilla and several positions within ICA. As CPO, Karolina will lead the work of developing category management and purchasing in the Group, as well as be responsible for sustainability, which is a central part of Ahlsell's strategic plan. “In recent years, Ahlsell's purchasing efforts have developed well. With Karolina’s broad experience in both purchasing and sales combined with strong leadership, she will be an important part of Ahlsell's continued growth and development work", says Johan Nilsson, President and CEO of Ahlsell AB (publ). "Ahlsell is a successful company with a strong development agenda within a, for me, new industry. I look forward to being entrusted with the responsibility of continuing the development of the purchasing and sustainability work," says Karolina Hagberg. Magnus Nordstrand, current CPO at Ahlsell, has previously announced that he will leave his position due to family reasons. "Although Magnus Nordstrand remain CPO for some additional months, I would like to take this opportunity and thank Magnus for excellent work during his time at Ahlsell", adds Johan Nilsson. Ahlsell AB (publ) is the Nordic region’s leading distributor of installation products, tools and supplies for installers, construction companies, facility managers, industrial and power companies and the public sector. The unique customer offer covers more than one million individual products and solutions. The Group has a turnover of approximately SEK 27 billion and is listed on Nasdaq Stockholm. About 97 percent of the revenue is generated in the three main markets of Sweden, Norway and Finland. With over 5,000 employees, more than 200 branches and three central warehouses, we constantly fulfil our customer promise: Ahlsell makes it easier to be professional. Ahlsell is the Nordic region’s leading distributor of installation products, tools and supplies for installers, construction companies, facility managers, industrial and power companies and the public sector. The unique customer offer covers more than one million individual products and solutions. The Group has a turnover of just over SEK 31 billion and about 97% of the revenue is generated in the three main markets of Sweden, Norway and Finland. With about 5,700 employees, more than 230 branches and three central warehouses, we constantly fulfil our customer promise: Ahlsell makes it easier to be professional!